Hello and Welcome to the Istanbul Creative Passport Change Maker Forum! We are delighted that you are planning to sign up and join us. The Creative Passport is a one stop shop which allows everyone to access data verified by you. So not just your songs, for example, but who played on them, who mixed and produced them and equipment you used, in addition to IDs, acknowledgments, other works, business partners and simple payment mechanisms. Think of it as your personal online footprint. Or a decentralized – which means it is not owned by anyone - not for profit digital catalogue, which holds every piece of data related to you. Who is the Creative Passport Change Maker Forum for? It is for music makers – so artists, songwriters, producers, engineers as well as labels, music services, managers, technologists and anyone else who relates to both music and technology. What to expect from a Change Maker Forum? For the first time ever, an artist has taken it upon herself, through The Creative Passport, to deliver a solution to one of the music industry’s many problems. This will only work however if it is used by music makers around the world. 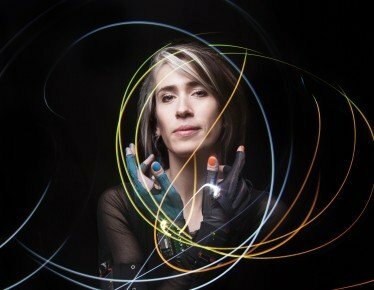 These Change Maker Forums are your chance to hear our vision, be part of the dialogue and to work with Imogen Heap and her team in helping to shape both The Creative Passport and the future of the music industry. As this is still a pre-release version, we are asking for your input and feedback to make it as user friendly as possible. This version will be available to download as an app which can be shared with other music makers. As we are keen to get as many music makers as possible to both attend and to be involved, please forward this link so that they too can sign up to the change maker forum. We look forward to seeing you there!